Global Rescue is a business that, should you get yourself into trouble, will drop everything to come and save you, anywhere in the world. They employ former Navy Seals, helicopters, airplanes, and even yaks to get the job done. But this service comes at a price, and when disaster strikes, is it fair that a service that won’t save everyone can rush in pull out those who can afford it? Say you’re going on an adventure somewhere you’ve never been before, you don’t speak the language, and you don’t feel 100 percent safe. You’re nervous about getting stranded on a glacier, or getting bitten by a poisonous snake, or maybe you just really want to avoid traveler’s diarrhea. You’re worried that if you’re not even sure how to ask for a hospital, you won’t know where you would turn for help. Hmm. This could go badly. Well, wait. A little company called Global Rescue might be able to give you a hand. Robert Kay summited Everest on May 19th, 2016. The skies were clear and sunny and there wasn’t much wind. Stepping foot onto the summit was something Kay had been dreaming of since he was 15 years old. He was so elated, he barely felt the cold. Kay reached the top, along with two days worth of climbers, because bad weather the day before had caused a backup. At points the hiker traffic was so thick that Kay and his team were stalled for ten or fifteen minutes at a time. But he made it. Fulfilled his dream. And then started down the mountain. The going was slow. Too slow. Coming down from the summit to the south summit is about a 15 or 20 minute trip normally, but it took Kay and his Sherpas two hours because of crowding on the trail. And, to make matters worse, Kay began to have trouble breathing. Kay was developing a severe case of High Altitude Pulmonary Edema, or “HAPE.” It’s the lungs’ response to getting too little air for too long: ;they start filling up with fluid and eventually you drown. He spent the night in Camp 4, at about 26,000 feet, where his friends kept him awake, so he wouldn’t go into shock, and gave him medications to get him alive through to morning. The next day, the team made the long, nearly vertical climb from Camp 4 to Camp 2, with Kay’s Sherpas and teammates unclipping and clipping Kay from every anchor point on the mountain and carrying his pack. At one point they had to switch out his oxygen tank for a new one and taking away that last bit of oxygen nearly did him in. But he didn’t die. Because someone was there to intervene. Before Kay left for Everest, he bought a membership with a company called Global Rescue. It’s a New Hampshire-based company, with offices around the world, that provides medical evacuations, security extractions, information and intelligence, and virtual health care systems in the U.S. and abroad. CEO Dan Richards founded the company in 2004 and he explains that a membership is structured, “a little bit like AAA, but not for your car, for your body.” If something goes wrong, you can call them. They will direct you to local hospitals and provide all the consultation you need to get properly treated. They’ve partnered with doctors at Johns Hopkins, so they are ready to dish out top-notch advice to their clients over the phone or via Skype if needed, and if something goes seriously wrong, Global Rescue will come and get you out of the field, stabilize you, and bring you all the way back home. All that for $329 a year. Although a membership with Global Rescue doesn’t cover the cost of treatment (it’s not medical insurance), it’s a good deal if you want to avoid the hefty cost of a private helicopter rescue, which could add up to $15-20,000. The company also provides security services for an additional fee, in case you’re traveling somewhere that erupts into war or civil unrest. Their employees rescued clients trapped in Alexandria, Cairo, and parts of Tunisia during the uprisings there in 2011, as well as after the 2008 terrorist attacks in Mumbai. Last year Global Rescue had about one million clients, ranging from individuals, to NASA, the U.S. Government, and National Geographic. And who are the super humans rescuing all these people? Many of their employees come from a military background, and they go through some intense training to make sure they’re up for the task. They even have a biennial office-wide fitness test, just in case anyone has been slacking since they got hired. Global Rescue will come get you anywhere in the world…except North Korea. Not all their clients need rescues, which is the reason they make any money at all. Most people go on their trips, it goes smoothly, and they never need the backup. But occasionally, something does go very wrong. Which brings us back to Robert Kay, who is near the top of Mount Everest. As Kay’s lungs began filling with fluid, he realized he didn’t have much time left. But fortunately he never had to face that fate. At 21,000 feet, Global Rescue sent a helicopter to pick up Robert Kay. They flew Kay to a small clinic in Luklah, a town at the base of Everest. From there he was transferred to a bigger hospital in Kathmandu, where he rested and recovered before he caught a flight back to the United States. And that seems to be the story from the majority of their clients—that Global Rescue really cares. But parts of this story get tricky, too. Hundreds of people climb Everest each year. Some of those people are signed up to get saved if something happens, and some of them are not—like the Sherpas—because they can’t pay for a service like Global Rescue. Out of about 280 people that have died on Everest, an estimated 114 of them have been Sherpas. So is Global Rescue really making the mountain safer? Ayers has been helping improve working conditions for mountain porters and their communities for the past 18 years. Ben says companies like Global Rescue might be contributing to a culture of mountaineers taking greater risks than they would if they had to rescue themselves—risks that could endanger lives besides their own. This leads us to our second rescue story, where the ethical implications of getting rescued become much hazier. 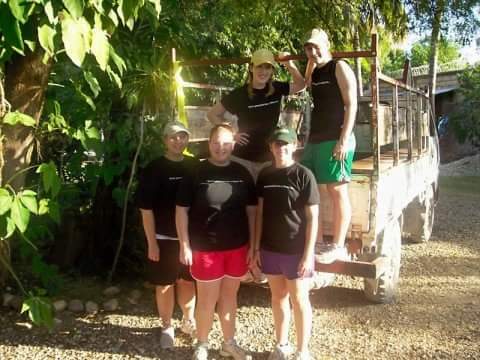 Courtney’s group helped paint the church and spent time with children in the Village of Hope school. “You couldn’t walk somewhere without somebody giving you a hug,” she says. And although hugs might not be a measure of real impact, Courtney says she felt good about being there. At 4:53 pm on January 12th, 2010, a magnitude 7.0 earthquake struck just south of Haiti’s capital, Port-au-Prince. Courtney remembers this moment perfectly. Courtney and her group were back at their living accommodations after a day of work.They were staying in a complex of one-story buildings that had bunks and a kitchen. Fortunately, most of them were sitting outside. No one in Courtney’s group was hurt. But many other people were. The death count is highly disputed, but ranges from 200,000 to 300,000. One million people were left homeless and an estimated 3 million people were affected. Today, 2.5 million Haitians are still in need of humanitarian aid. Following the earthquake, Courtney and her group tried to help. But after a few days they started to get worried about their supply of food and water, and their safety. Trying to secure a ride home, Courtney took the group to the U.S. Embassy, where they were told 200 people stood ahead of them in line to get out of the country; it would take weeks for them to get out. So Courtney called her insurance company, which informed her that they had bought them a subscription to Global Rescue. The earthquake was on Tuesday. 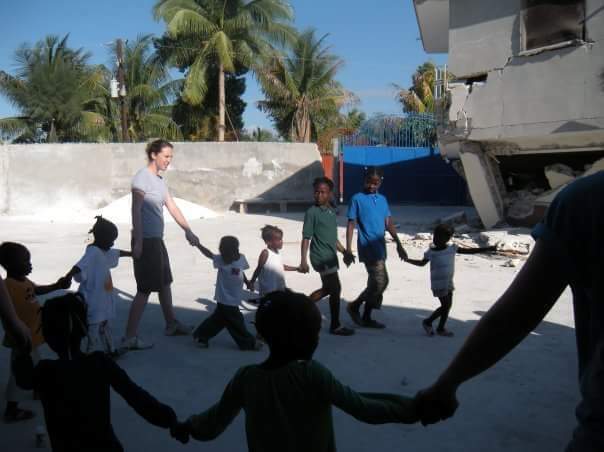 On Saturday, two Global Rescue employees arrived in Haiti, and whisked the group to the airport at 5 am the next morning. In front of several hundred people waiting in Embassy lines and several thousand more who would never be able to afford to leave their ruined country, Courtney’s group boarded one of the first chartered flights out of Haiti. 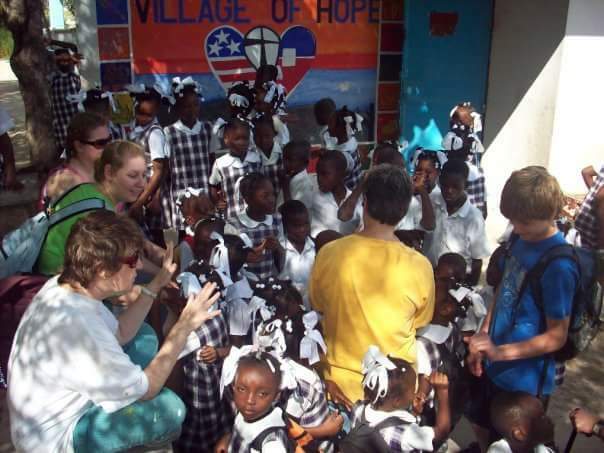 Courtney and her group had come to Haiti to help spread their privilege—to give back. But when the time came, they used that same privilege to get out. As long as it doesn’t risk their own clients’ survival, Global Rescue does help non-members as much as they can—they’ll bring in medical supplies for free and evacuate non-members. But in the end they are not the Red Cross; they’re a business, with clients who are willing to pay for the services they offer. Still, there are people who prefer to travel without a fire escape. Mark Jenkins is the Writer in Residence for University of Wyoming, as well as contributing writer for National Geographic Magazine. He’s been on all sorts of dangerous adventures and often goes without any kind of backup. So maybe paying to insure your life is just a proxy for the greater inequities of the world? Mark Jenkins thinks so. And when it comes to saving your own life and the lives of the people you love, that question can get pretty hard to answer. Outside/In was produced this week by Cordelia Zars with help from: Sam Evans-Brown, Maureen McMurray, Taylor Quimby, Logan Shannon, Molly Donahue, and Jimmy Gutierrez. Special thanks to Frank Mauceri, Ben Ayers, Ann Shannon, and Megan Trupp for their help making this story come together. Thanks also to Robert Kay and Courtney Cristman for sharing their stories with us. A post-script: Robert has adopted two girls from Nepal. One of them is applying to med school this year. And Courtney is hoping to set up a physical therapy clinic in Haiti as soon as she can. Music from this week’s episode was composed by Cordelia Zars.